About 45 minutes just east of Tampa is Polk City. 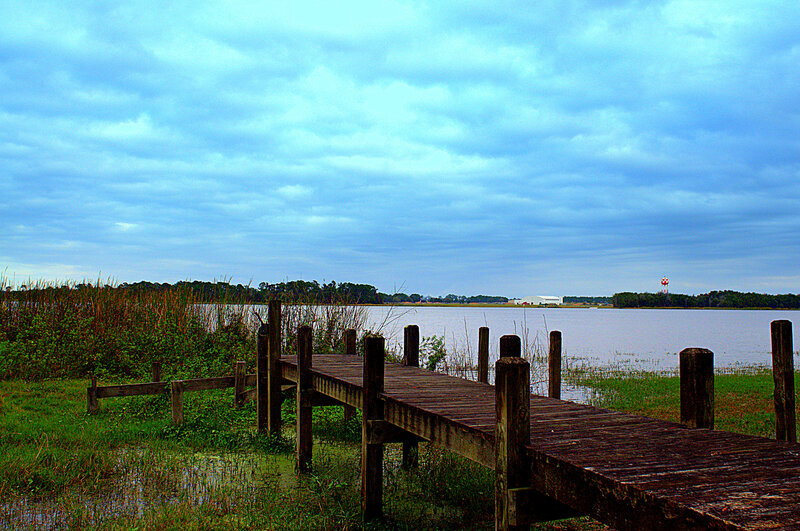 A small rural Florida City that is about 512 acres in size. Wikipedia describes Polk City this way: Polk City is a city in Polk County, Florida, United States. The population was 1,516 at the 2000 census. The image above is a view of Lake Agnes, which is one of many lakes in this area. This image was taken Saturday, January 5, 2013 from Tom’s back yard. 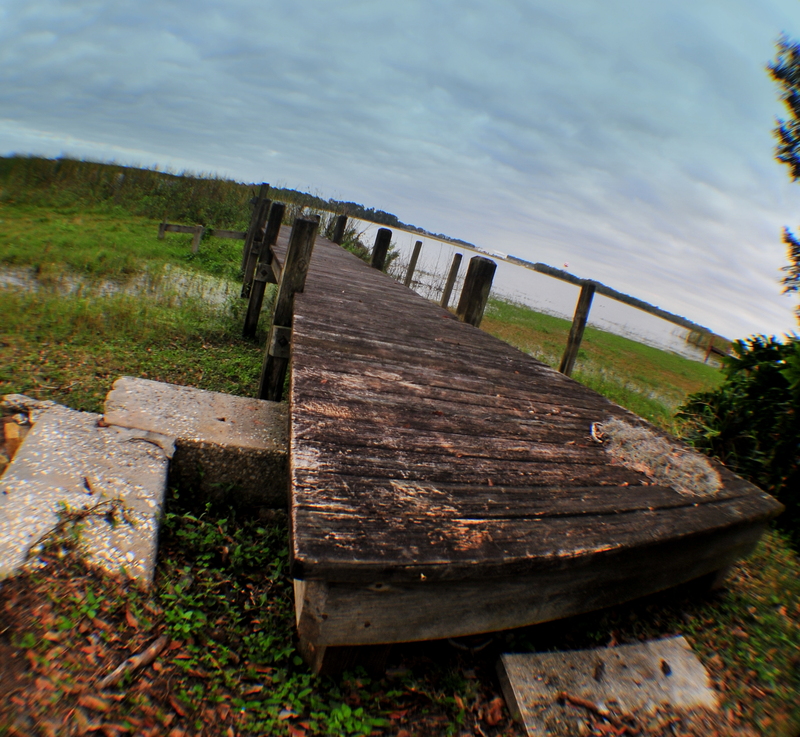 It is a view of Tom’s dock taken with my Nikon D300, 50 mm, with my fisheye lens attached. As of 2004, the population of Polk City recorded by the U.S. Census Bureau was 1,515 (the population dropped by 1– LOL). 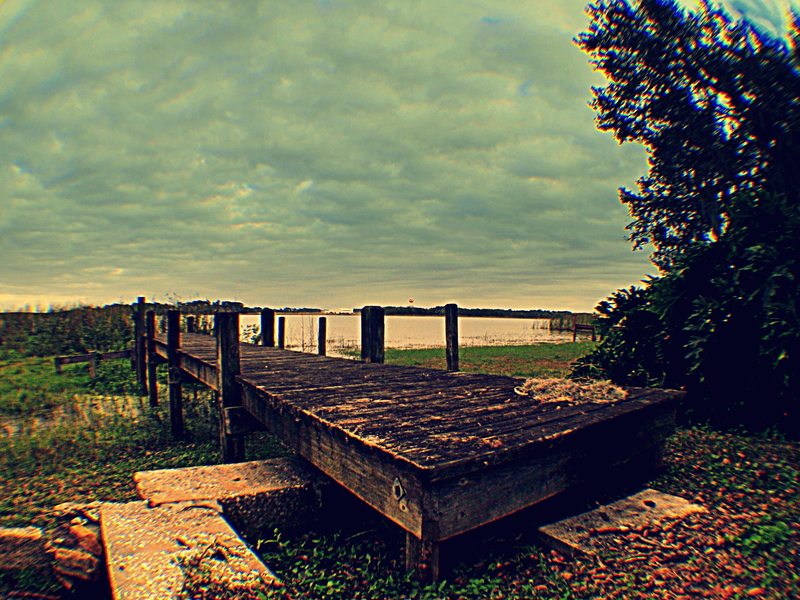 It is part of the Lakeland–Winter Haven Metropolitan Statistical Area. Wikipedia. 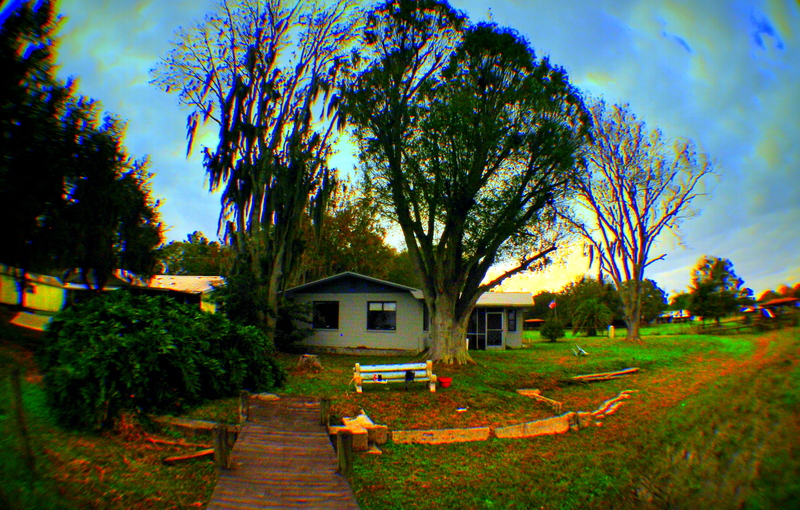 This is Tom’s back yard as viewed from his dock. In this gallery you can see how post processing can make the same image appear very different. old moons clear the way for new vibes . . . So this is why I have been decluttering, house, office, cars and life! Freedom!